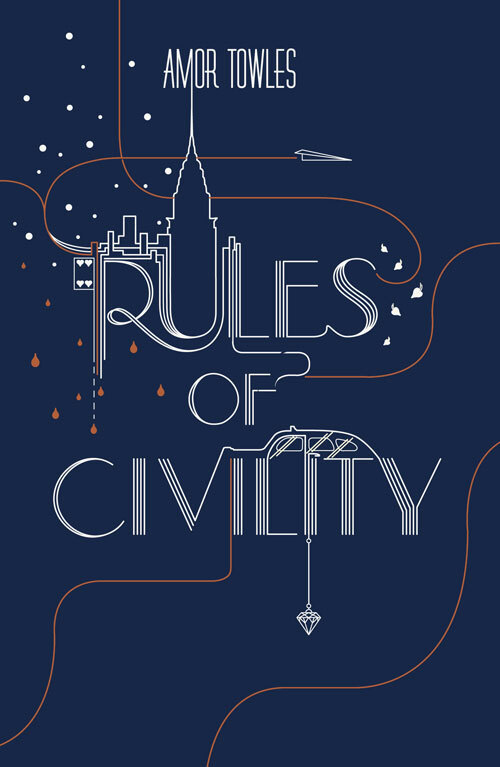 Book Review: Amor Towles' "The Rules of Civility"
Home » books » historical » new york » review » Book Review: Amor Towles' "The Rules of Civility"
As any of you who have spent a significant amount of time with me will know, I have a thing for New York City... Ok, perhaps it's more than a thing- I fell in love with that city when I was there at the end of 2010. (And I'm going back this December!) It certainly had more than a little to do with my choosing "The Rules of Civility" as my next book to review here. I picked up Amor Towles' book just after Christmas. In a rush of excitement I browsed the lovely book shop, choosing quite quickly based on cover and blurb. I think I was enjoying the thrill of being able to choose something that was in no way related to my studies. The jacket was elegant, with lettering forming the New York skyline, and I know they say you shouldn't judge a book by its cover, but on this occasion it paid off. The reader is introduced to the twenty something narrator Katey Kontent, and her irresistable friend (and partner in crime) Evie Ross. On New Years Eve 1937 the two of them meet the attractive Tinker Grey, and their lives take an unexpected turn. Full of scandal, intrigue and a whole lot of martinis, it is hard not to get sucked into Katey's world, as she works her way up from being a secretary, to an assistant to a publisher, and ultimately a literary editor. The story focuses on a life changing year for Katey, and really made me consider how each and every choice we make can impact the route of our lives. Towles writes elegantly, with a good understanding of his characters. He managed to charm my socks off, and make me wish I was Katey Kontent, living my life independently, dancing down the streets of New York in the 1930s. Undoubtedly it's a slightly romanticized version of that life, but we all like to escape from reality sometimes, and this book is definitely the sort of light reading that offers you the chance to do just that. 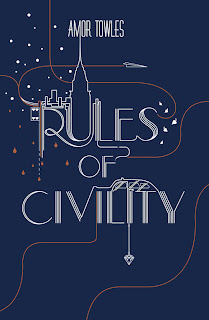 "The Rules of Civility" is a good solid first novel, and I'm curious to see his next.